Wales wears its seasons with pride and is the perfect place for Autumn lovers to explore. Bracken turns from bronze to rust, blanketing the hillsides in colour. Long grasses of the mountainsides gradually pale to gold. A spectrum of Oak, Beech, Horse Chesnut and Hazel leaves entice us into the woods, falling create a colourful carpet to soften the way underfoot. Here are some of the best places to see Autumn unfold in Wales. The steep river banks of the lower Wye Valley are perfect for leaf peeping. With tree species such as Beech, Oak and Hazel you're guaranteed a spectrum of colours. Walk to one of the viewpoints high above the river for sweeping birds-eye views of the foliage covering the valley. This is also a great spot for wildlife; tread quietly and you might see deer, rabbits, squirrels, foxes and badgers. Quiet hamlets hidden in the woods are given away by the smell of wood smoke. Duck into one of the cosy country pubs for a drink next to the fire. Several trails follow the maze of rivers and streams that carve their way through the southern part of the Brecon Beacons National Park. Waterfalls of all shapes and sizes are found here, and it's possible to see several in one day. Here Sessile Oak, Ash and Hazel provide the colourful canopy. It's a great place to spot funghi, berries, nuts and busy woodland birds. The Snowdonia mountainsides turn pale gold and bronze as the Autumn progresses. The incredible tones of the mountainous landscape are often accompanied by a contrasting dust of snow from November onwards. 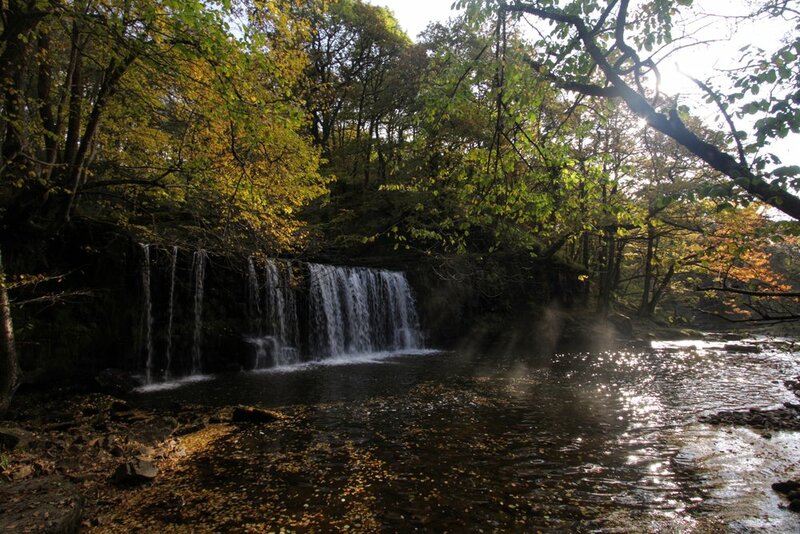 In the valleys, enchanting oak woodlands lead down to fresh mountain rivers, and shelter tranquil fairytale gorges. Snowdonia tends to progress through the season slightly quicker than the rest of Wales, so don't delay if you want to see the best of the colour.